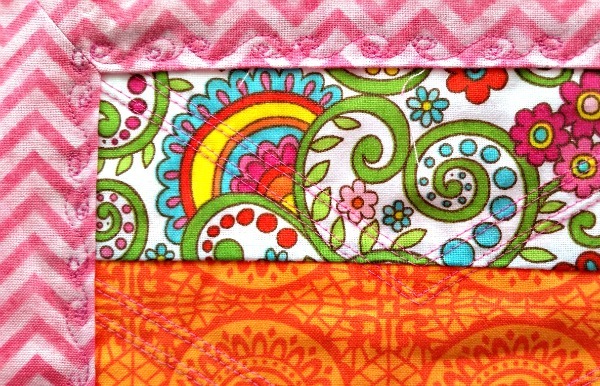 I have an announcement this week before I show you beautiful quilts (and a few flowers). Jennifer and I have decided that The Quilting Bee posts on Jennifer’s blog will become once-a-month events, just like the other topics that Jennifer includes in her blogs. 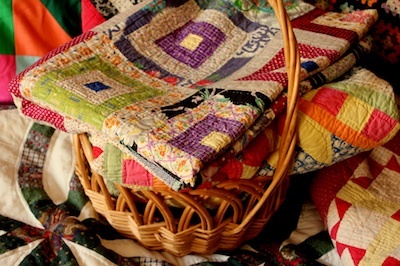 My new posts will be shorter, less detailed, but full of beautiful photos of quilts. For the in-depth quilt instructions that so many of you love, I will be starting a new Quilting Bee blog in a few months. Check back here for more details. 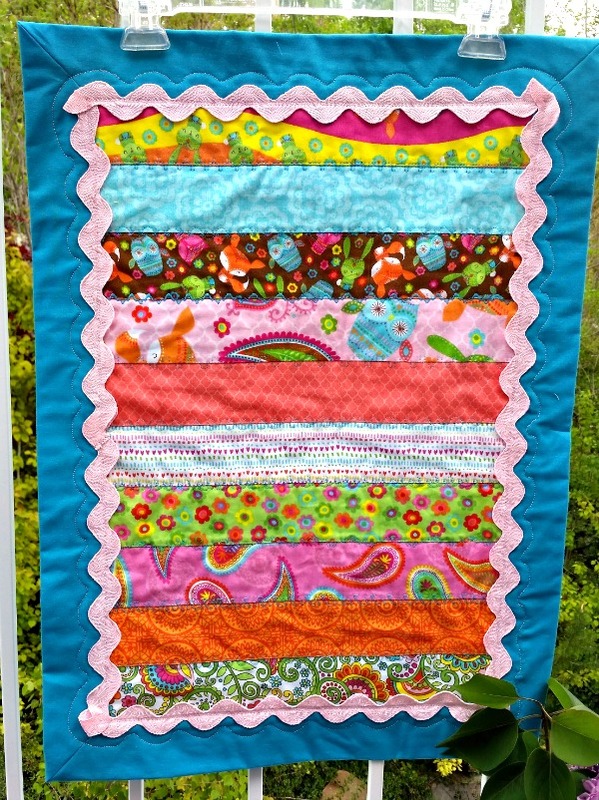 Today, I have many photos of the quilted table runners I have been making over the past few weeks. Some of them are stunning, some fun and flirty. Decide which one you like best, and vote in the comments. 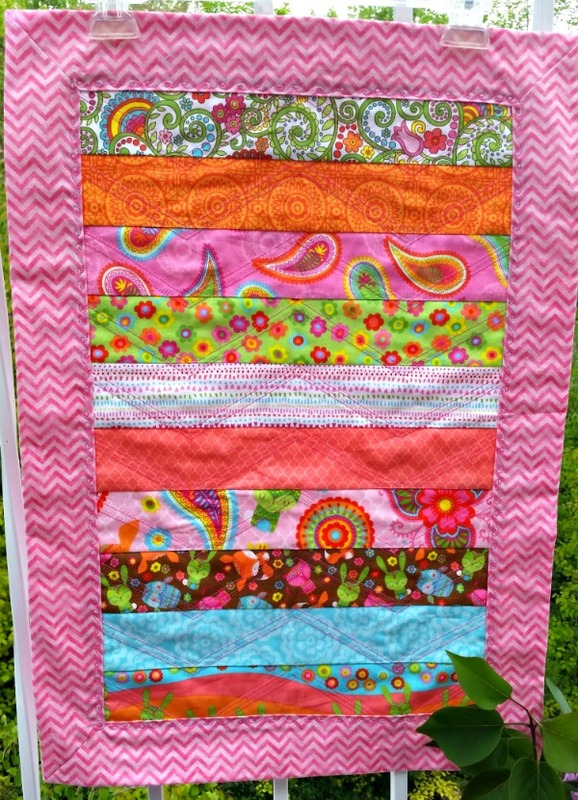 I love the blue border and the pop of pink that comes from the rickrack. 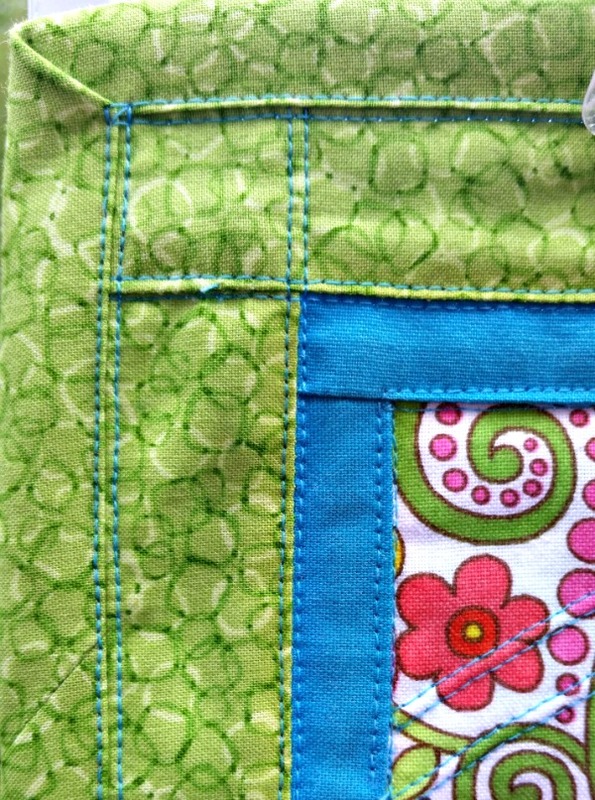 And between each strip, I quilted with a different decorative stitch in bright, blue thread because I wanted the stitching to be seen. Here a few examples. 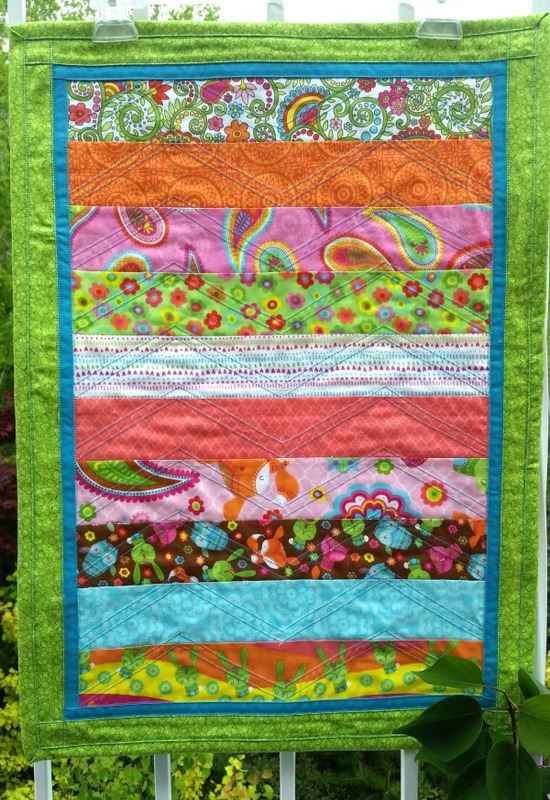 The beautiful color of the green border reminds me of new leaves, and the narrow, blue border brings out many of the other colors in the pieced strips. I quilted this in a chevron pattern which I echoed in a second row of stitching, and I used a twin needle, so each line of sewing is actually two rows of stitches. 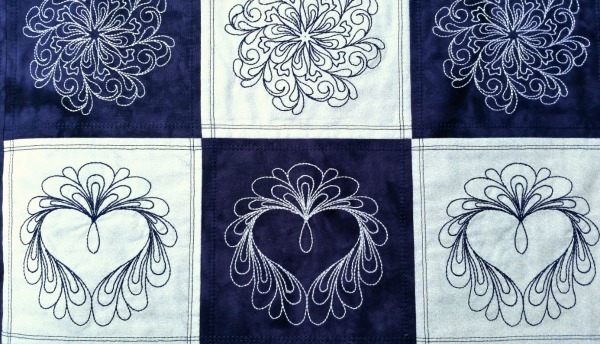 As in the runner above, I didn’t want to hide my quilting, so I used the same bright, blue thread color. To quilt the borders and binding, I straddled the seam lines with the two needles on my twin needle. It was a little tedious to sew this way, but I like the way the borders look. You can decide if you like the chevrons or swirls the best. 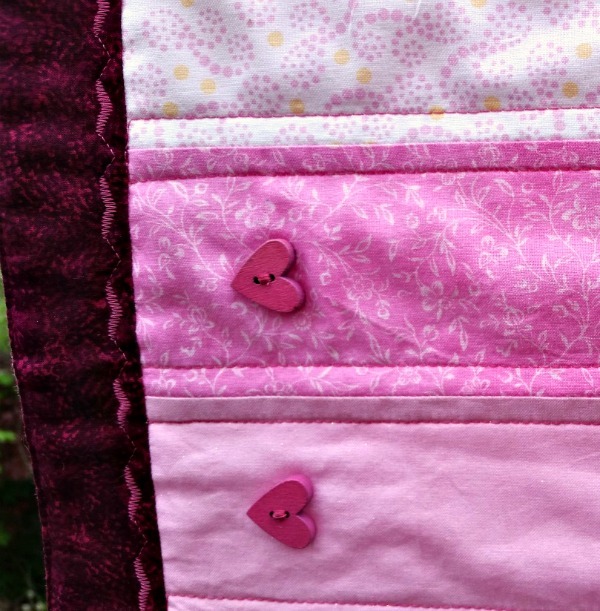 This is the only table runner I made that has buttons, and they add a whimsical, yes-it’s-really-Valentine’s-Day feeling to this quilt. 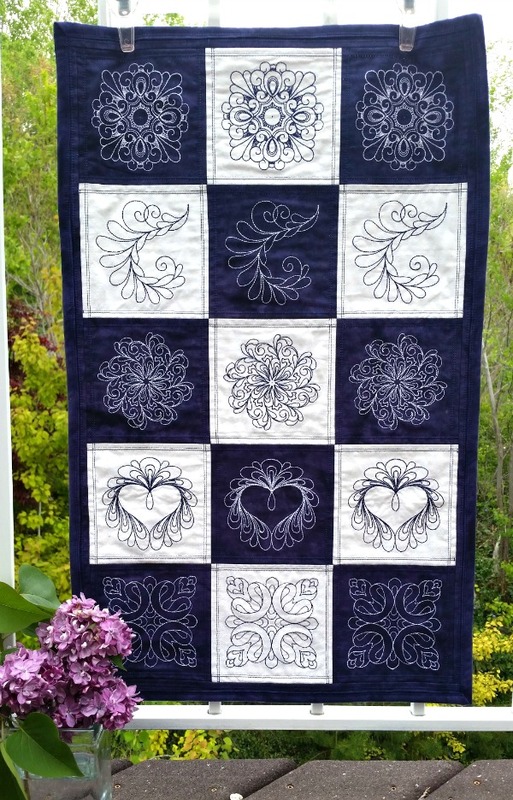 I quilted this in straight rows, 1/4″ on each side of the seams, and the decorative stitch around the border matches the heart buttons. As an added bonus, this quilt matches the wreath I made to celebrate Valentine’s Day. 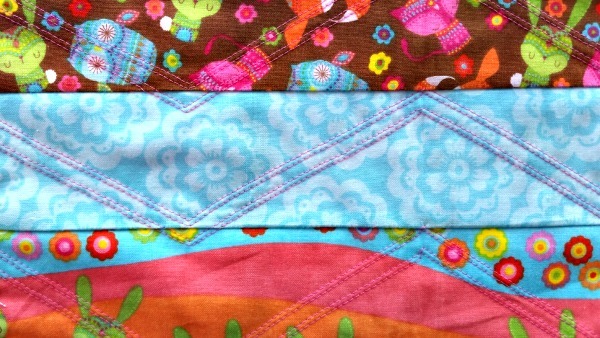 Yes, this is the fourth table runner with strips of fabric from the same package of pre-cut strips. 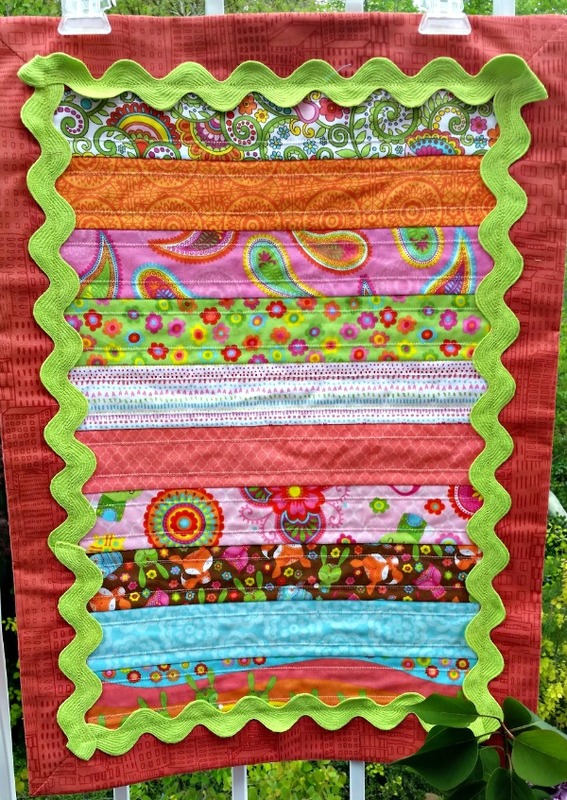 I love the way the green rickrack dances on the burnt-orange colored border. Admittedly, orange is not really my go-to color, but it looks great on this runner. I quilted this in straight rows with a twin needle and light pink thread. 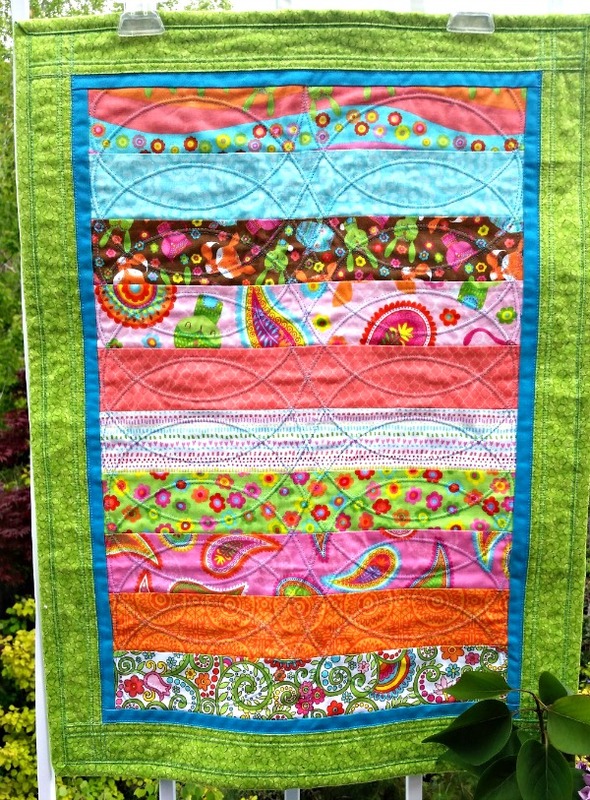 This quilt is another of my personal favorites. I embroidered each square on my wonderful Bernina, so stitching the squares themselves wasn’t hard. It was my daughter’s idea to experiment with the positive and negative space, and I think it looks regal. 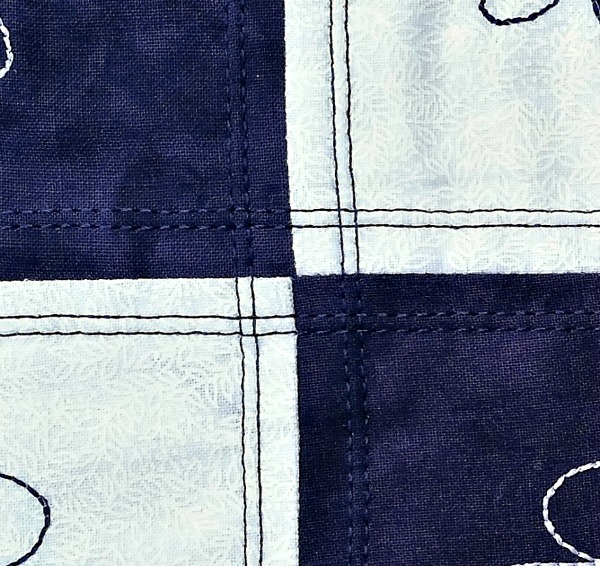 I quilted this runner with a twin needle in dark blue thread, which looks very striking on the white squares. 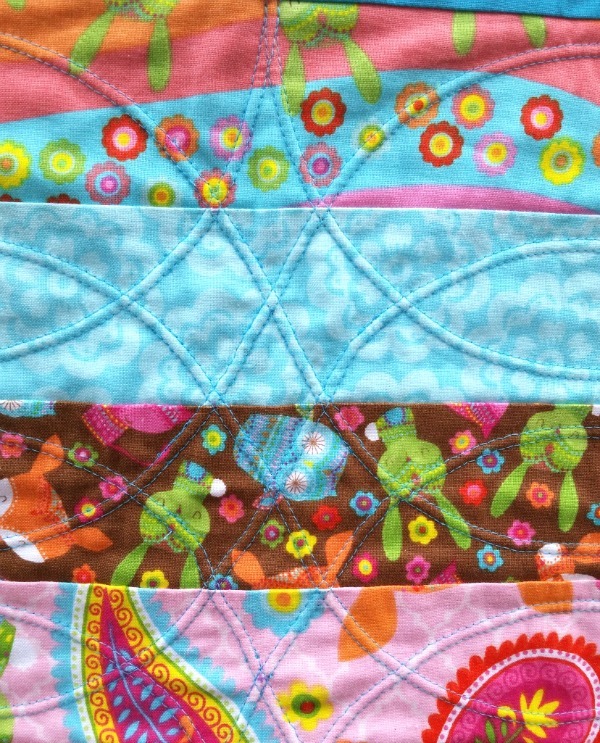 The quilting looks especially nice on the corners of the squares. 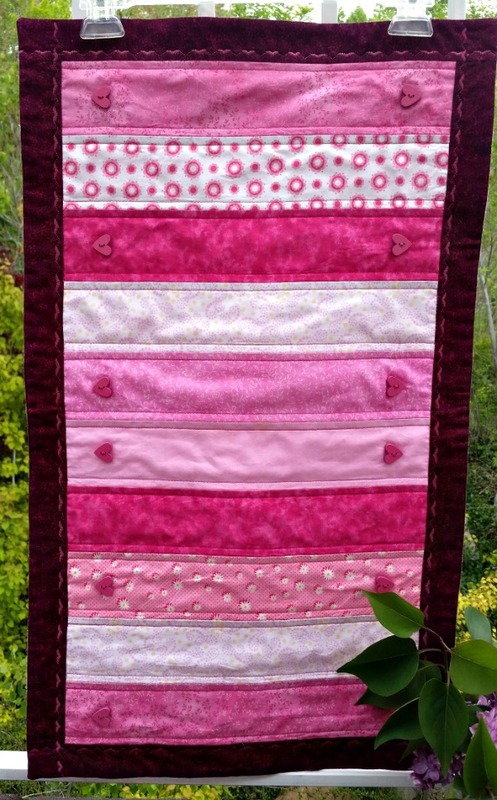 Yes, this is another quilt made with the same quilt strips, but the pink border fabric makes the entire runner seem more pink and, therefore, more wonderful. (I am biased.) I quilted this with a twin needle and pink thread in a double chevron pattern to match the border. 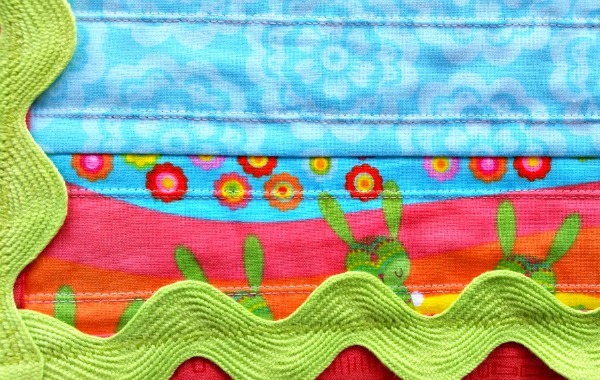 I especially like the decorative stitching around the border. 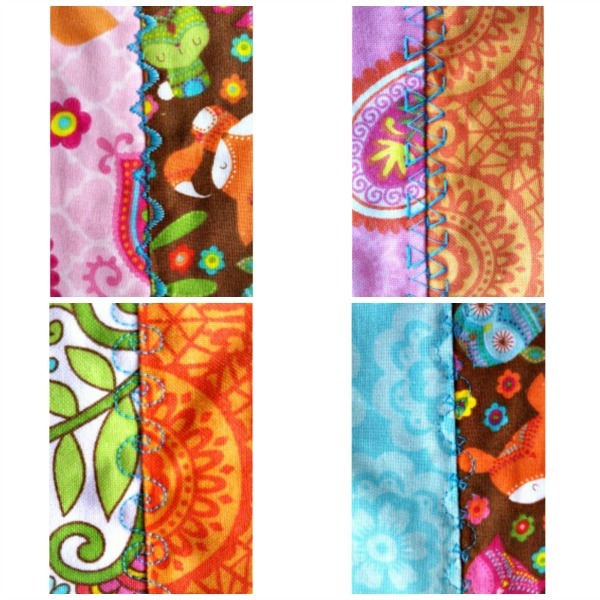 Which of these table runners do you like the best? Vote for your favorite in the comments below. 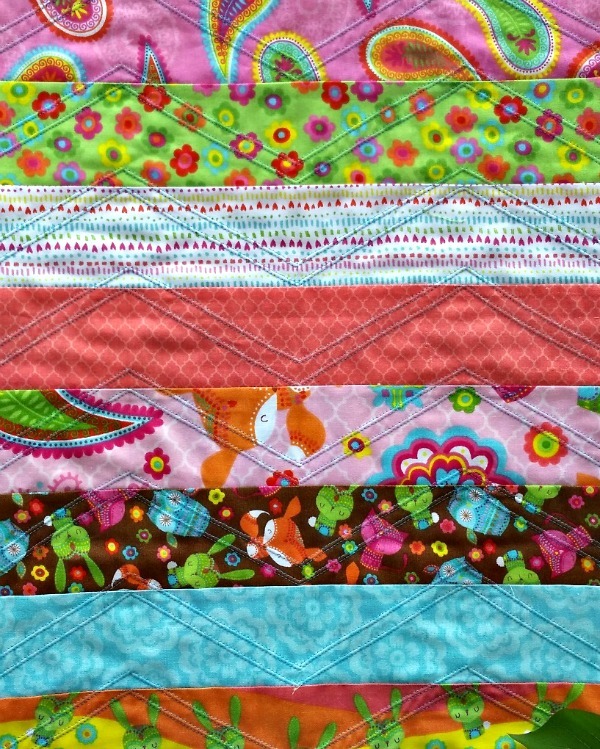 And be sure to check back next month for information on my new Quilting Bee blog! P.S. Two of these table runners will be part of the silent auction held by CenterPoint Legacy Theater in Centerville, Utah on June 4. If you’re interesting in bidding, put your name in the comments, and Jennifer will contact you with more information. I love #1 and I love love love the wreath. Thank you, Cathy! I love those too. 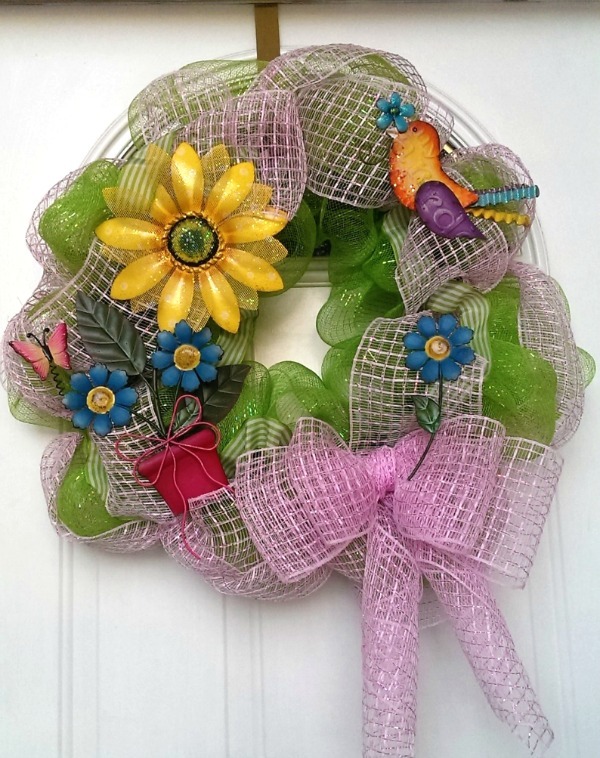 Which wreath do you like? Gotta go with #6, the positive negative space. Not ONLY because it’s BYU colors though 🙂 Looks nice! I agree that number 6 is a favorite, but I also really like the valentine’s day one. I love the stitching on the outside that looks like little hearts. SO CUTE! I LOVE #3! Green, pink, swirl…what’s not to like?! 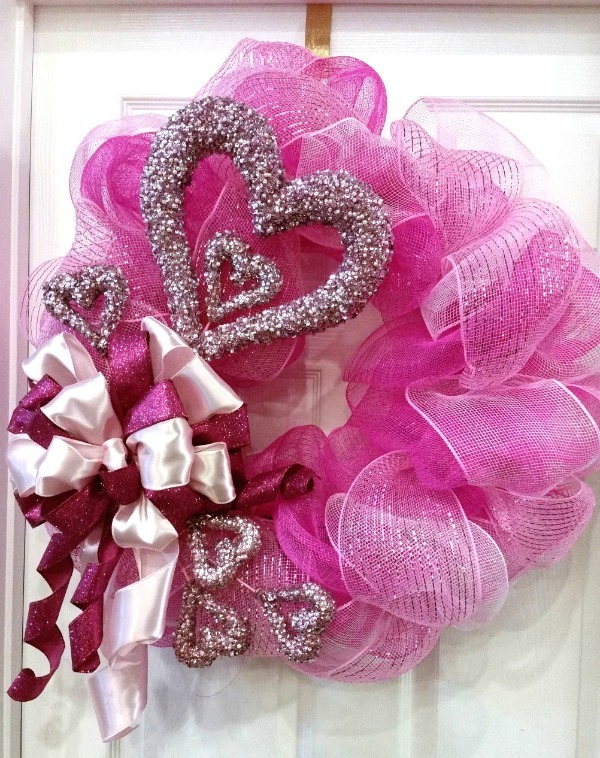 I honestly cannot pick which wreath I like better. SO CUTE! You are so talented Allison. I love love love #6! But they are all pretty! Thanks, Latia. 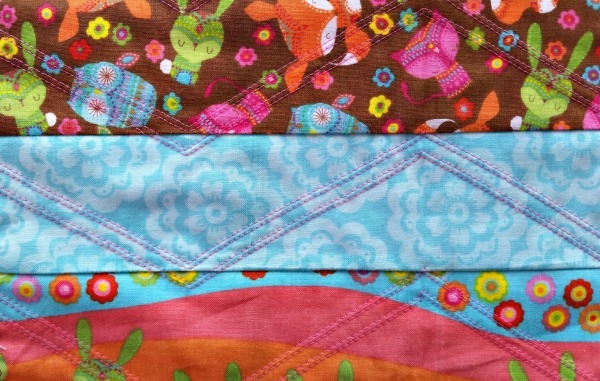 Check back in about two weeks for another quilting post.